The apartment is situated in the heart of Italy, in the Tuscany countryside in Carmignano near Florence, in the heart of the green hills of Montalbano, and know for its wine and olive oil, it has also plenty of artistic and natural beauties. Its strategic position allows to reach the most beautiful cities in Tuscany: Pisa Siena San Gimignano , LuccaPistoia Prato Vinci. Florence is twenty minutes by car and the seaside in less than one hour. My apartment is a good solution to enjoy the quiet life of a small village in the countryside of Tuscany and all the conveniences and facilities of the modern life. 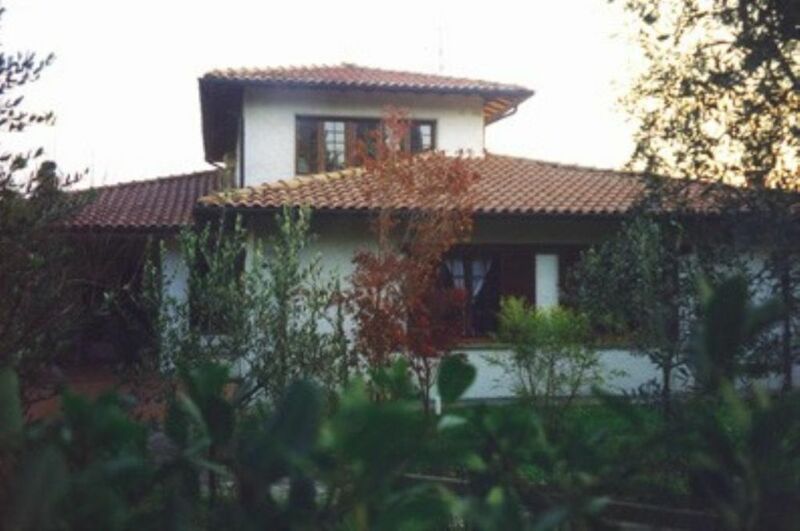 The apartment is situated on a hill in a residential area, it is necessary the car because the village is far from 3km to the apartment , here there are some very good restaurants, shops, grocery stores, bakeries, banks, drugstore, pharmacy and the bus-stop with hourly service to Prato, Firenze, Pistoia. The railway station (Signa) is far from 7km to the apartment and it is the ideal solution to go in Florence, and for those who wants to use the public transports for their movements. Nearby it is possible to do the following sports:: lake fishing, swimming in a nice swimming pool near the apartment , horse-riding, golf, and going for walks in the wood. It is an apartment at the edges of a wood around the Carmignano countryside (3 km,all the shops). It has a huge private garden overlooking the valley where Florence and Prato are situated. It is perfect for those who love the quite and going for a walk in countryside. "Superb location, quiet and central to discover Tuscany, visit Florence, Lucca, Cortona, San Gimignano, Pisa etc. Florence is 5 minutes away by train from Signa station (free parking on the left side of the station).The gite is big, clean and comfortable ; the garden offers a good panoramic views and dining outside was a real pleasure after days of sightseeing and lots of walking.The owners Maria Pia and Paulo are extremely friendly and happy to provide advice. It was a pleasure to stay in Carmignano, at Maria Pia & Paulo's gite." You leave the motorway A1 at exit Firenze Nord, you take the motorway A11 towards Pisa and you go out at the exit Prato Est. You have to follow the direction towards Poggio a Caiano, enter in Poggio a caiano and follow the indication for Carmignano, enter in Carmignano, after 2,5 km you’ll arrive to Santa Cristina a Mezzana ,after the place with the church (in the right) , turn to left in via..., at number ...you are arrived.